Lights, camera, action. We are very excited to bring your favorite Faberlic products to Canada. Check back very soon for more exciting news. 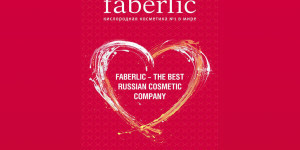 Faberlic is a leading beauty company selling direct. We offer quality products within skin care, makeup, and more, as well as a unique opportunity to start your own business. Copyright © 2019 Faberlic Canada | Official Site – All Rights Reserved.